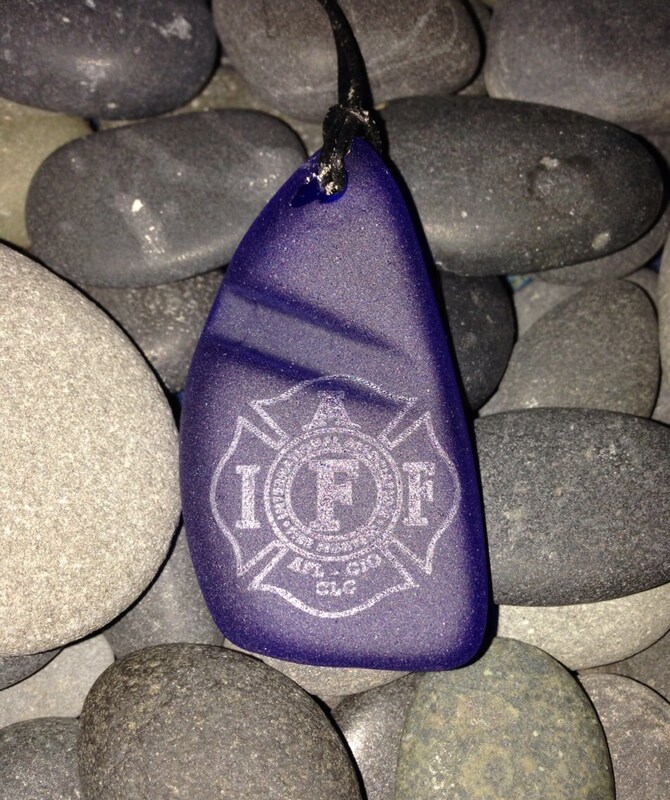 This IAFF necklace comes with black leather cord. The seaglass was found on a NH Beach. 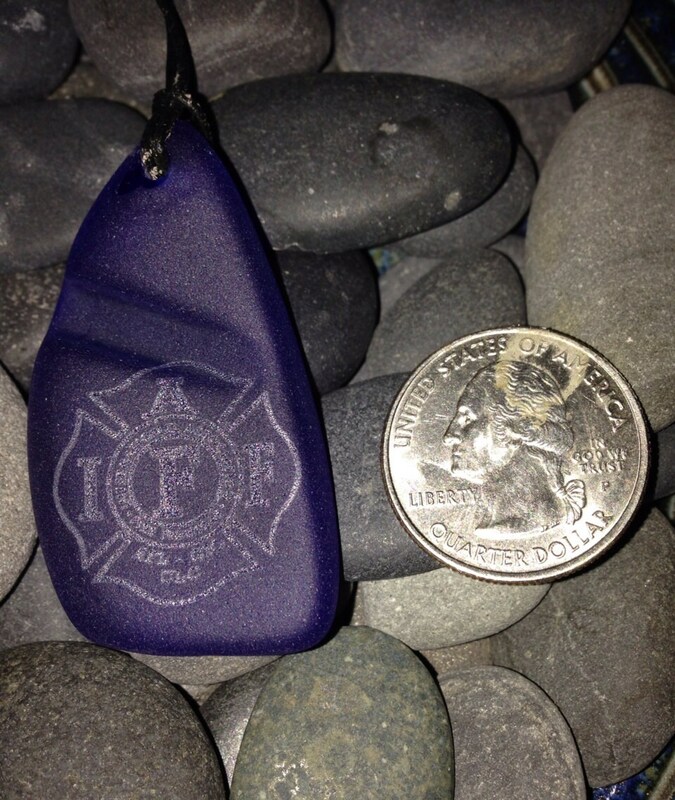 The blue will add to any firefighters jewelry collection. 10 % of this sale is donated to the IAFF Charitable Burn Fund. Inner Earth Creations/IEC Laser Engraving is officially authorized to print the Logo.